Welcome to the Greek Island of Karpathos! Karpathos is a Greek Island that is rich in culture and traditions. It is part of a cluster of islands called the Dodecanese in the southeast Aegean Sea. Located halfway between its more famous neighbors, the islands of Rhodes and Crete, Karpathos has beauty and hospitality that is unmatched anywhere else in Greece. There are many web pages about the island, and most of them do not reflect its true picture. We are hoping to set the record straight about many discrepancies and we will periodically try to update this site in order to provide you with facts, not fiction. Some high-resolution photographs, both recent and old, will be included (bandwidth permitting). 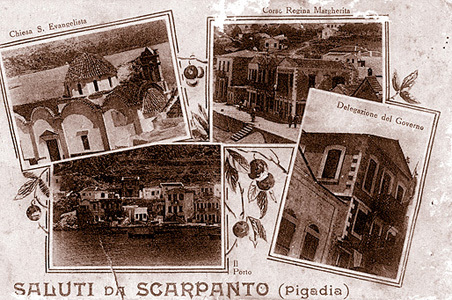 The purpose of this site is to educate you about the island of Karpathos, as well as provide support for (and links to) Karpathian organizations. If you are a member of such an organization and would like information added to this site, please email us at .